Donald Driver is a former wide receiver who played for the Green Bay Packers for fourteen seasons. He played college football for Alcorn State University. Driver was picked by the Packers in the seventh round of the 1999 NFL Draft, and played his entire NFL career for the Packers. Driver is also an author of children’s books, and won the 14th season of Dancing with the Stars. Driver has an inspirational life story and is an excellent inspirational and motivational speaker. Sports Speakers 360 is a booking agent for pro athletes. 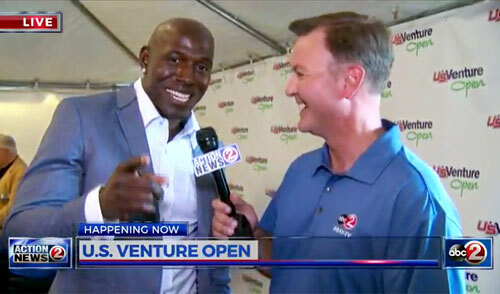 If you would like to book Donald Driver for a speaking engagement, appearance or endorsement, contact a Donald Driver booking agent for fees at 1.855.303.5450.